Check out The Great Brands Rainy Day SALE happening until July 8, 2018 at the Activity Area, Lower Ground Floor of Farmers Plaza, Araneta Center Cubao. 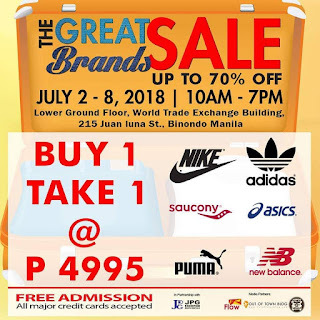 Get up to 70% off on your favorite brands! 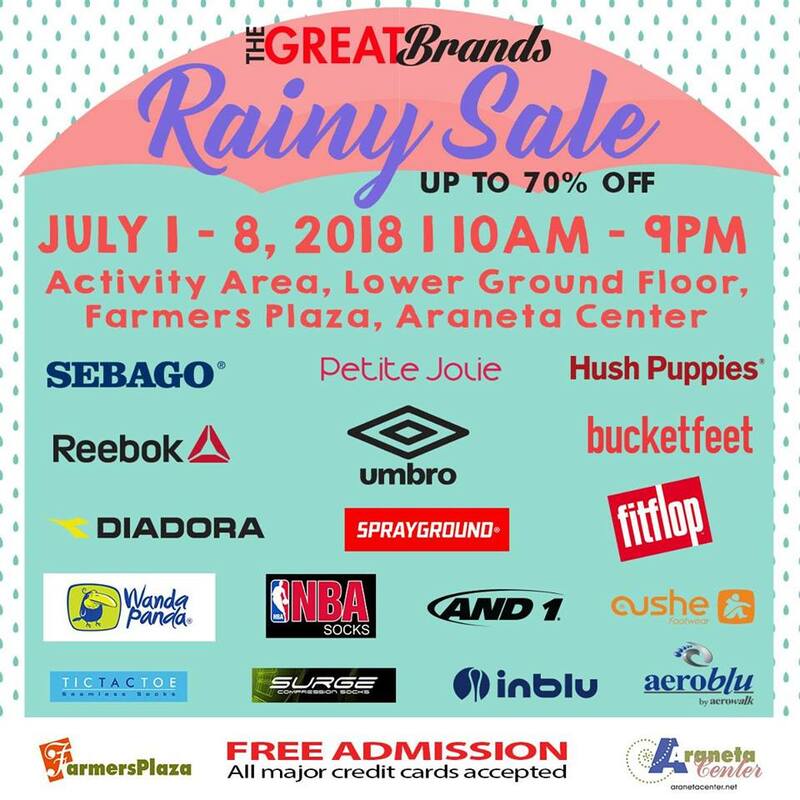 Participating brands: Sebago, Fitflop, Hush Puppies, Reebok, And1, Cushe, Diadora, Umbro, and more! 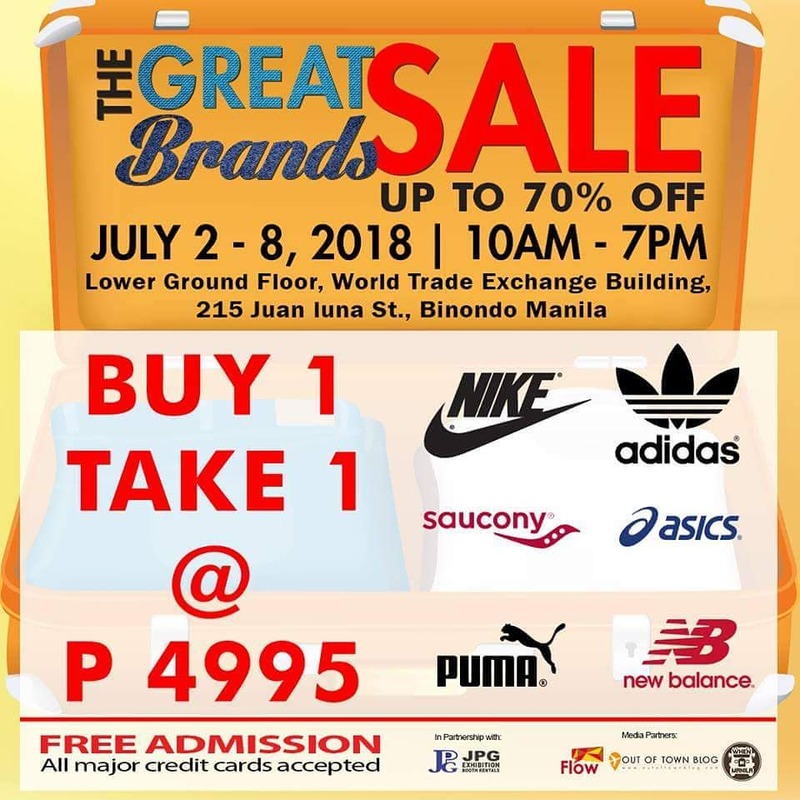 From July 6-8, 2018, enjoy Buy1 Take1 offers on select Nike, Adidas, Saucony, Asics, PUMA, and New Balance items!